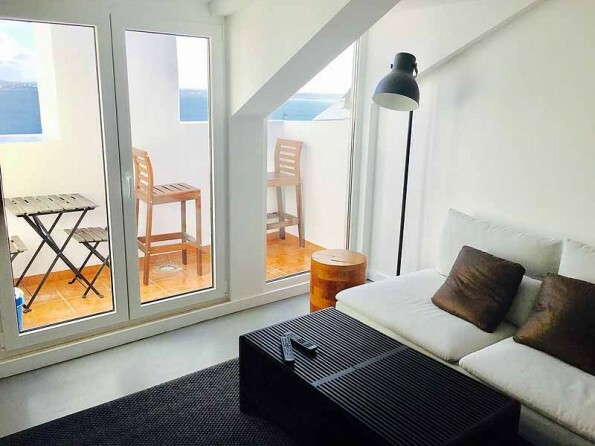 Situated in the heart of historic Lisbon with fantastic views over the city and the river Tagus, this cosy studio apartment is the perfect base from which to explore this wonderful metropolis. 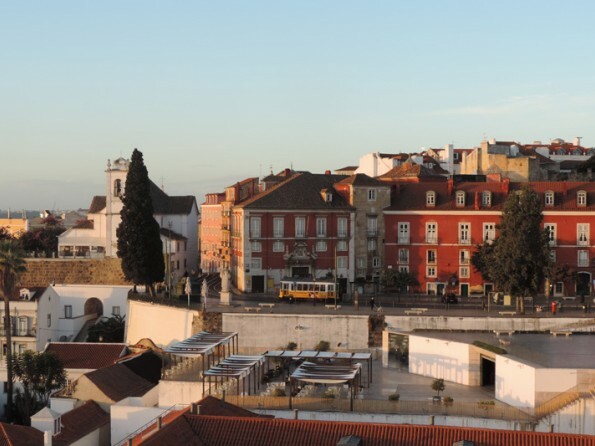 It is situated on a quiet street, away from the hustle and bustle, yet just moments from Lisbon's city centre with all it has to offer. 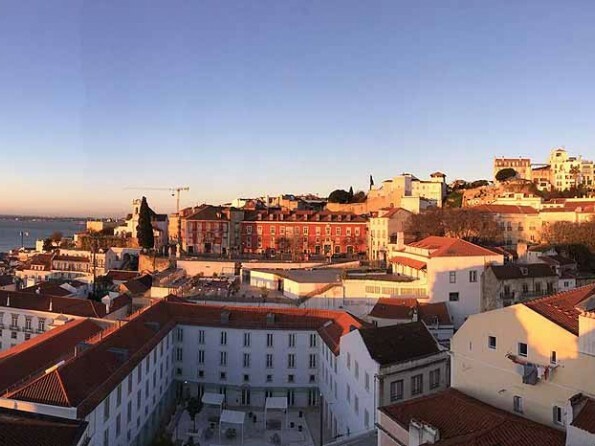 Completely renovated in 2017, Lisboa Luminoso is beautifully light, airy and contemporary, with all the mod cons you could want for a comfortable and relaxing stay. 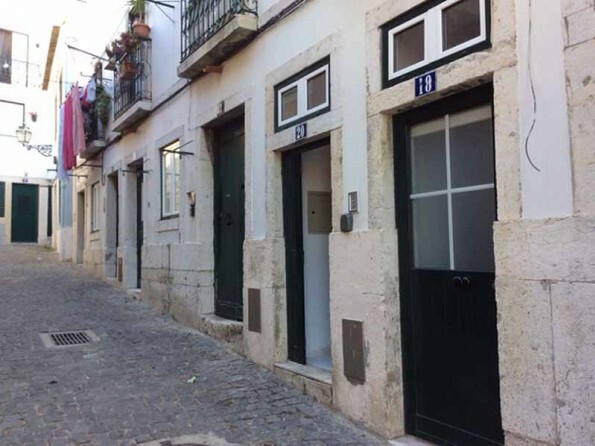 The street on which the apartment is located is lovely and quiet, but the many attractions of Lisbon are within easy reach and there are numerous cathedrals and picturesque streets to discover, not to mention bars, boutiques and restaurants. 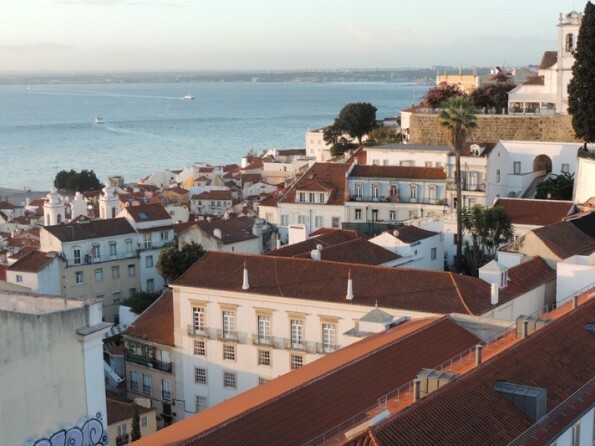 Lisbon is a fantastic destination and this is an ideal bolthole for your stay. 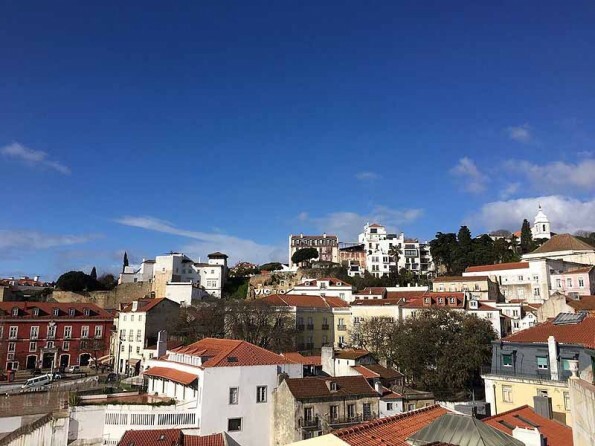 The castle São Jorge, the Pantheon, the Church of Santa Engrácia, the cathedral and the picturesque streets of Alfama are very close to the apartment, and Martim Moniz, Rossio Square, Santa Justa Elevator, Baixa, Chiado, Bairo Alto are easily reached on foot. 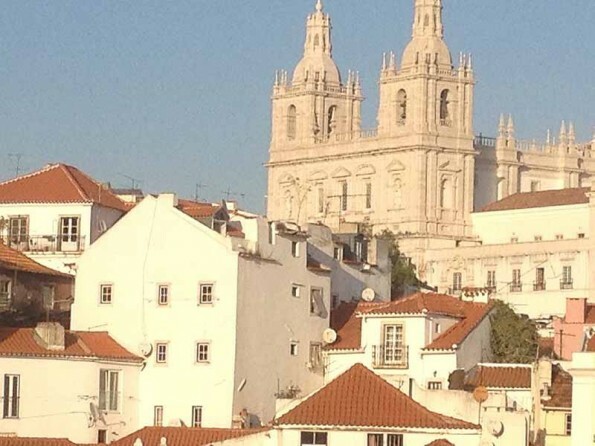 There are lots of bars and restaurants within a short stroll. 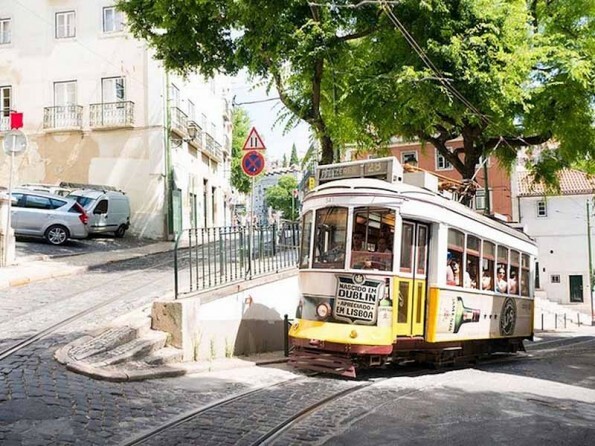 Please note there is no parking at the property but the vintage Tram 28, which connects Martim Moniz Square (metro station) with popular districts like Graça, Alfama, Baixa and Estrela, stops just 50m from the apartment. 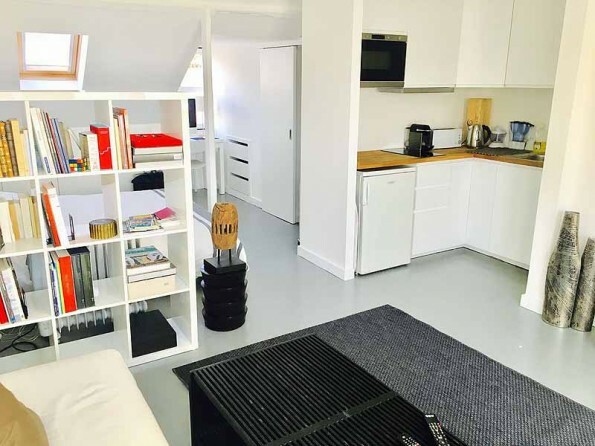 The studio has one double bed, as well as a well-equipped kitchenette, a bathroom with a shower and a washing machine and Cable TV. 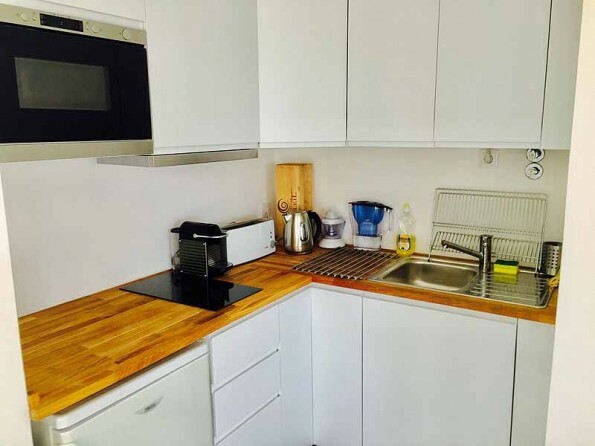 Wireless internet is included. 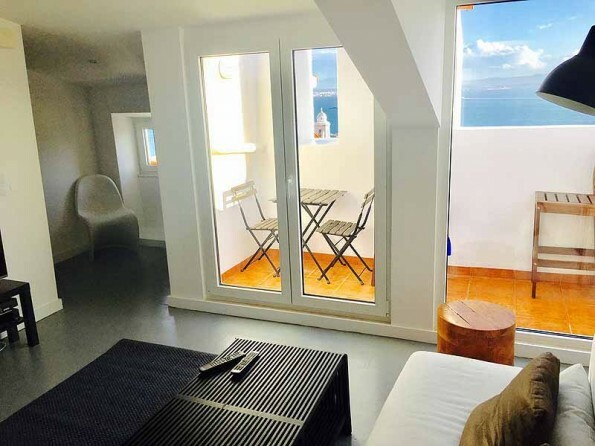 The apartment has a balcony with seating and sensational views. No smoking, no pets and no parties. 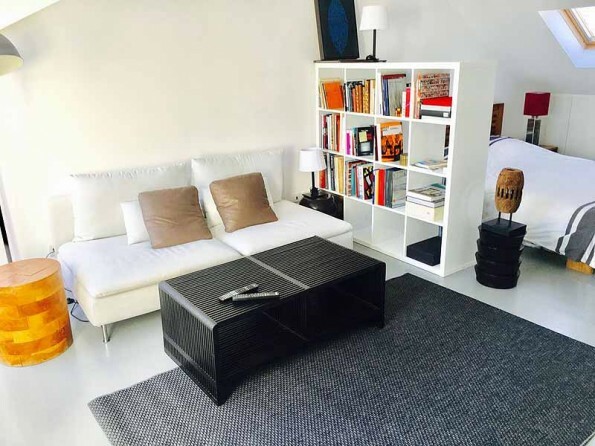 Check in from 4pm and check out by 11am.